Arsenal News 19 February 2012 The morning after the night before | "It's all about the Arsenal"
Morning all. Well it’s a lovely sunny morning in Harlow and at least something is shining on me today. Waking up I feel no pain from Arsenal’s defeat to Sunderland and maybe that says it all. I don’t dwell on defeats like when I was younger. Even then my Dad would always say there is another game round the Son corner to put it right. I’m 55 this year, I’ve seen plenty of Arsenal defeats in my time, plenty of times I’ve seen Arsenal depart from the FA Cup. Wrexham was not great as an example. The papers this morning. It looks like it is going to be a week of fattening up the cow for the KILL. After what has gone on over the last few days, the demeanour of Arsene Wenger and no football mid-week ending with a home match against our rivals, the pressure is going to be turned up from Thursday onwards. I can see many knives being sharpened to be stabbed into the back of Arsene should the worse scenario happen. I have found him engaging, have total respect for him however, I find myself thinking it’s time for him to go. Like all people the time comes when you have to move on both for their good and the greater good. It’s like Arsene is Nero and fiddling while Rome burns with Arsene is just muddling through. Playing players out of position etc. The last thing I would want was to see him sacked. I would rather he resigned before his memory becomes to tarnished and believe me this is hard for me to say as there can’t be many bigger Arsene Wenger fans than me out there. The French job is calling and a great time for all concerned to part company and a new era to begin at the club. Right now across the spectrum of Arsenal fans I feel an uprising is taking place. Arsene has lost the backing of many fans and what I read and hear, is that the few supporters Arsene has not lost then the board has lost the backing of them. Either way many are becoming disenchanted with the club. Why? I mean it’s not like Arsenal have not been here before. I have certainly seen it before and supported Arsenal though many lean times. I see many fans are getting frustrated at the way the club is run. This is 2012, football changed years ago, it became money orientated. Arsenal moved from Highbury to Ashburton Grove, the state art stadium that would produce huge revenues and keep Arsenal at the top, nay even make Arsenal the biggest club in the world. Ivan Gazidis said this. This was to be a new Arsenal, one going toe to toe with Barcelona, Real Madrid, Manchester United. Money wise we are competing, but football wise we are falling away. Chelsea and Manchester City and different and maybe we can’t keep up with them just now (Real, Barca and United are proving you can) , but the others we can and yet the club with all this extra income just refuse to spend and what they do spend is on salaries to youngsters that are far to high and fringe or back up players that are also to high. A wage bill of £134 million and yet we cannot buy experienced players. It’s crazy. Recently I have been amazed at some of the stuff coming out of the club. Talk about the spinners of football. How can any Arsenal fan know what is really going behind the scenes. We’re told we were in for players but they did not want to sign or leave their clubs. Well I can go into HR Owen’s to purchase a Rolls Royce to look good and just come out and say they did not have any colour I like. However, I tried to buy one. We’re told we have great youngsters, well that may be the truth but they are not going to get you anywhere without experienced players who have been there, done it and given the t-shirt. Even if they do with the club winning nothing they are just going to leave for clubs with ambition. Having supported the Arsenal through thick and thin for 50 years, I’m not going to get all medieval on them now, suffice to say I just can’t understand a club who looks to be doing everything the right way off the pitch, yet doing everything wrong on the pitch which is surely what the main focus of the club should be all about. Anyone in football can tell you that to speculate to accumulate in football, you need the main product, the football played on the expanse of green to be successful. If that is not being successful, then fans will slide away. Season ticket sales will drop, attendances will drop, this is the very nature of football and the football fan. Today you CANNOT charge the highest prices in world football and serve up what is being offered right now and expect (customers, I’m sure this is what the board see fans as) to just turn up out of blind loyalty. Yeah sure Arsenal had three tough away games in a week, but then so do other clubs and if you want to be the best and win the trophies, this is what you have to contend with. A top club should not be relying on Djourou and Squillaci as a central defensive pairing. Today the world is in and out of recession and austerity plagues many countries. Prices are going up all over for people and many of these price rises are everyday things people need to survive, whereas football is a luxury. To keep the fans coming through the turnstiles you have to offer at least entertainment to bring them out of the doldrums and into a theatre where for a short while they can be entertained. Now this is my bugbear. 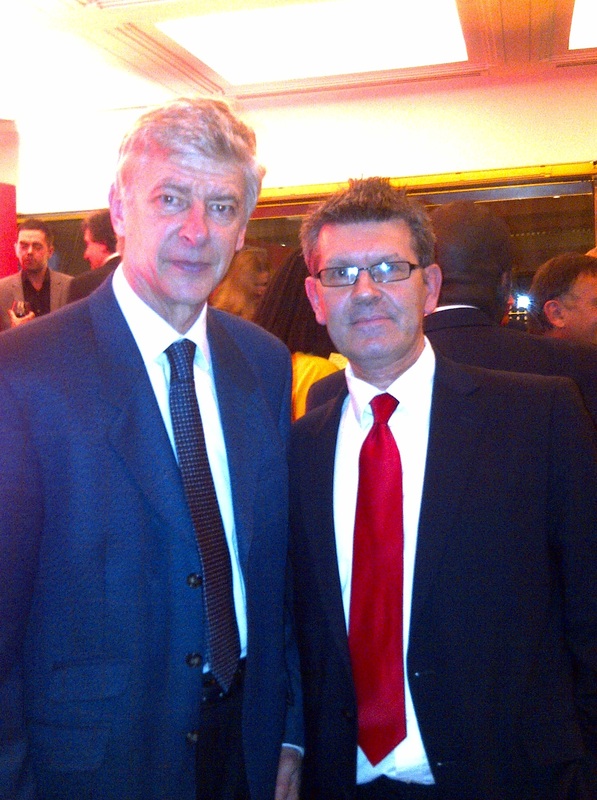 I remember Arsene Wenger once saying he is a fan as well as a manager. When Arsene sits on the touch-line he wants to be entertained while watching his team play and to be fair for many years that was the case. We may not have won trophies every year, but we challenged for them and we played entertaining football. I can not say what I have been watching the last few years is entertaining, it’s not. I also have to say to be fair, that Arsene had a lot of bad luck with injuries over the last few seasons and some horrendous bad luck with decisions going against the team. However, a lot more could have been done to make his own luck. I could go on and I’m sure you all have your own views and opinions on why it looks to have all gone Pete Tong, so I’ll leave it there. Coquelin – Poor lad. I thought the pitch did him no favours. One leg got caught in the pitch and as he moved off on the other one his Hamstring went. Squillaci – To be a sub and then be substituted says it all really and the way he trudged down the tunnel did not look good. I would not be disappointed NEVER to him in an Arsenal shirt again. Arsene Wenger – The man who picks the side and chooses tactics. Right now looks like a man with no idea and is just clutching at straws. Almost everything he does is not coming off. Has he lost the dressing room? Are the players fed up with his tactics and not buying players? Currently as stubborn as they come Arsene has had the chance to keep himself from any stress. He could have brought players and played players in the right positions and used better tactics in matches against various opponents. 2/10 for last night though not overall. Right I’m off now and I hope we can stuff that lot next week and that things can turn around. I have thought about writing many times. Always wondered what is the point. Maybe I will this week with slight changes. It may not achieve anything but would definitely give him the reality check that I think he needs…..I sometimes think he lives in cloud cuckoo land!! !